Mr. Faulkner has acted as counsel in public offerings and private transactions involving the issuance of securities backed by credit cards, auto loans, boat loans, home equity loans, mortgage loans, commercial real estate loans and trade receivables. He has represented commercial paper issuers and arrangers as well as sellers of assets to asset-backed commercial paper programs. In addition, he has advised issuers of commodity index linked structured products, including exchange traded funds. Recent transactions have included restructurings of securitization programs, sales of consumer loan portfolios and advice to purchasers of interests in distressed asset-backed securities transactions. Mr. Faulkner has advised clients on regulatory developments, including the implementation of the Dodd-Frank Act. 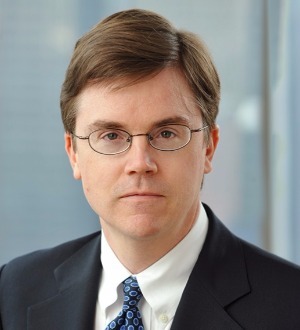 Mr. Faulkner is a former member of the board of directors of the American Securitization Forum. He represented the American Securitization Forum in efforts to modify and preserve the FDIC’s legal isolation safe harbor for securitization transactions. He also represented SIFMA in connection with the preparation of comment letters on rules proposed to implement the conflicts of interest limitations for securitization participants under the Dodd-Frank Act. Mr. Faulkner repeatedly has been selected for inclusion in Chambers Global: The World’s Leading Lawyers for Business, Chambers USA: America’s Leading Lawyers for Business and The Best Lawyers in America.